1. Could you explain what Blockfolio is in just a few sentences? Blockfolio is a mobile platform that lets our millions of users track their investments in the cryptocurrency space. We track prices for over 6,700 crypto assets and offer features on the information side such as detailed market information, news, and the ability to receive direct updates from the leaders of crypto projects through our Blockfolio Signal platform. 2. How did you get into crypto? After being a product manager at Google, I joined a mobile video creation startup called Flipagram as their first product hire. Flipagram was acquired by ByteDance (a multi-billion-dollar Chinese tech company) and we stayed on for a year after the acquisition. During that year, I discovered Ethereum – a blockchain platform that allows developers to build decentralized apps (Dapps). After reading its whitepaper. I became excited about the possibility of a decentralized computing platform driven by the developer community. I came across Blockfolio when I connected with Ed Moncada, the company’s CEO and founder. Ed helped me realize the reach of Blockfolio’s scale - how it was already an important player and how much of an impact could be made in the blockchain space. 3. What is your proudest achievement at Blockfolio? Building and launching Blockfolio Signal, a feature within our app that allows our users to directly receive news and updates from the leaders (CEOs, lead developers, etc.) of top cryptocurrency projects. We had identified a need in the ecosystem that was not obvious at the time and that users did not necessarily realize they needed. The crypto space is so new that there is not an established flow of credible news and information that is free of noise, misinformation, and spam. This was a personal frustration point for both myself and our CEO Ed that we were both passionate about addressing. Today we have over 130 cryptocurrency projects broadcasting their latest updates to our users. I’m proudest of Blockfolio Signal because it is the first of its kind communication platform for our space. 4. In your opinion, what is the biggest problem in the crypto space? Crypto is still nascent, so there is a lot of focus on short-term price speculation. This is a distraction from the advancement of the technology, and I would like to see people focusing on understanding the benefits and value of blockchain instead. 5. What do you love about your team, and why are they the best ones for the job? Everyone at Blockfolio puts the team first. We are all super competitive individuals, but in a healthy way where we are always working together to build the best product and company possible. The top thing we prioritize in our hiring is cultural fit. We ask ourselves: Is this person going to improve the culture coming in? Every one of our team members fits the bill. 6. How do you measure success at Blockfolio? We look at traditional KPIs such as current number of users, how often they are using the app, etc. However, one of the key things we look at is how much our users are evangelizing the app to their networks. Blockfolio has never paid for advertising to acquire users (it has grown 100% organically), so this is a key thing to look at. Believe it or not, we even like to look at memes in social media for mentions of Blockfolio since our brand is so embedded in the zeitgeist of crypto. Our users are pretty witty with the types of memes they create about us. Lastly, we are also very present in the popular crypto channels (Twitter, Reddit, Telegram, and others) to engage with our users. 7. What is the long-term vision for the company? We want to become an important pillar of the crypto ecosystem. There is a general need for a trusted source of news, information, and data. We want to be the platform that connects everyone in the crypto space through this. 8. Any parting words of wisdom for an AnderTech student in your shoes a few years ago? Once you identify what you want to do, go all in on it. If you are into crypto, go ahead and open an account on a few exchanges, buy some and experience what it’s like so you become familiar with the process. Personally, I was at some point recruiting for a gaming company while at Anderson. I went as far as playing their games hours and hours per week to become as knowledgeable about them as I could. Once I was at the interview, I actually found out that they only considered candidates who had reached a certain level of achievement in their games, which I luckily had. My second piece of advice is to lean on the Anderson network. Don’t be afraid to reach out to alumni! During the past few years at UCLA Anderson, about 30% of all FTMBA students have found summer internships or full-time employment in the Technology industry. As students go through the recruiting process, one of the most important and common questions they need to answer is “Why Technology?”, especially if they are career switchers. On the surface, this seems like a very simple question, but in this day and age in which the popularity of the Tech industry as a career option is extremely high, it’s actually quite difficult to answer in a unique and/or memorable way. Having advised many students through that process at Parker, here are my top (or not) recommendations on how to best answer that question. 5. I’ve loved technology since I was young and use it all the time. One of the most common answers that I hear from students is a variation of how they “love” technology and use it all the time (i.e. “I built my own computer in high school” or “my parent brought home a computer and I fell in love with it”). While this may be the truth, compared to when “loving technology” or being a “tech geek” was novel and perhaps even rare, this answer doesn’t have the same impact today. If today’s MBA student is about 29 years old, that means that GUI was the normal way to interact with one’s computer and the internet has always been available (even if it was through a 2400 baud modem) to them. By middle school, mobile phones were pretty common, and the iPhone was just around the corner. So, while I am not dismissing the validity of your interest in technology, unless the there is a truly unique story to illustrate this passion, it may not leave much of an impression anymore. This is very much a true statement, but it can be a bit cliché and generic unless you have specific and relevant examples to back it up. We all understand how various industries, including tech itself, have been (and will continued to be) changed/revolutionized/”disrupted” by technology, and most people can come up with the multiple examples of this, such as e-commerce (retail), fintech (payments/banking/lending), cloud (storage, IT, workplace collaboration, or actually everything), mobile (communication, or actually everything), streaming content (media), adtech (advertising), social media (communication, society, news), etc. However, these and other examples become common knowledge enough that you need to be extremely articulate and specific in order to effectively use this as a “why technology” answer. 3. I want to make a big or bigger “impact” through my work. This answer has started to surface in recent years, and it is also a true statement in that many of today’s leading technology companies can have large scale impact on millions, if not billions, of users through their products and services. Having said that (I know I say this a lot during advising meetings), you should first consider whether the idea of making an impact is applicable or relevant to the interviewer and the company that you are interviewing with. Also, does “making a big impact” mean just affecting a large group of people or organizations as users of the product, or is there some sort of a desire for a “social impact” that you truly care about? Does that even matter to the company? Students often throw around the word “impact” without context or relevancy to the organization they are interviewing with, and that lessens the validity of this answer. 2. I am interested in this specific sector of technology. 1. I personally experienced how technology changed/affected my profession/employer/life, etc., and I want to be part of an organization that is creating that impact. I believe that one of the best ways to answer the “why technology” question for career switchers is an elevation of the #3 & 4 answers above, taking them up to a professional (and may be a personal) level that frames and solidifies the “disruption” or “innovation” offered by the technology to you and the interviewer. As mentioned previously, various forms of technology has affected most people in one form or another, and each innovation/disruption has changed how we live, work, and play. My guess is that in your past professional experience (preferably), you’ve seen, felt or experienced that disruption directly in various ways, either positively or negatively. I don’t mean that you can’t live without your phone or that a streaming service has changed how you consume content, but more specifically and seriously how a technology or product has significantly impacted the actual job or function that you performed or the organization itself, resulting in an honest-to-goodness desire to join the industry or company creating those products and services. Rather than expounding on a generic concept of “impact,” personalizing it and making it specific helps that story be “real” and memorable. Obviously, this answer is most impactful if it illustrates a product or service in a professional context, but even if is more of a personal story, this shows that technology and its innovations had a real impact on you which serves as a deep-seated motivation to join the industry. All of these suggestions are under the caveat that context is important. 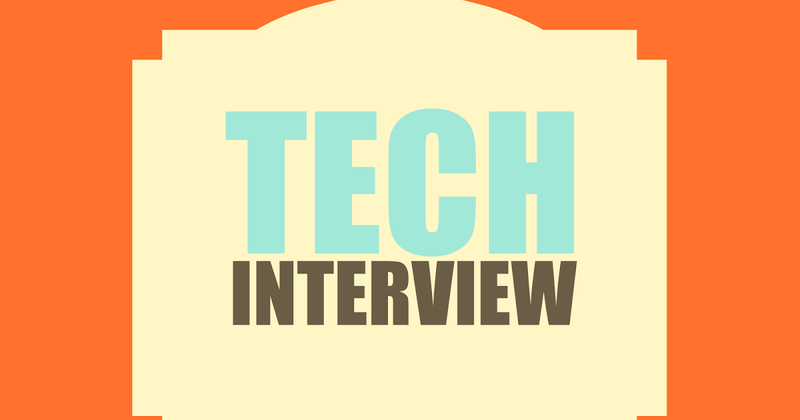 Your “why technology” answer during an interview needs to be framed appropriately depending on the role and organization that you are interviewing with and how it fits with the rest of your story. So, as you think about this question both now and in the future, remember to be personal (within a professional context), specific and authentic on how you want to be a part of this awesome industry that changed how you and many others live and work every day. Last Spring, Judy Pham and I launched a new Tech Education initiative called Tech Bytes. Tech Bytes are peer-led technical skills-building workshops featuring bite-sized topics that can be taught in 1 hour. Instructors are current UCLA Anderson students who have prior experience in technology roles and are passionate about sharing knowledge to help their peers break into tech. In our first Tech Bytes of the 2018-2019 school year, Jon Helman (FTMBA 2020) introduced students to the technology stack, using Tinder as a clarifying example. Since many product decisions require a baseline understanding of the product's tech stack, this edition of Tech Bytes was designed to be especially helpful for students exploring careers in product management or strategy at companies with web, mobile, or cloud-enabled applications. Jon began by describing the various technological components that enable an iPhone app to run. Then he explained step-by-step how the client app communicates with the server when two users swipe and match. Finally, Jon tied it all together by discussing examples of hypothetical technical challenges that a Tinder product leader may face in the real world, and explained how to tackle the problems using the new concepts covered in the session. Our next Tech Bytes, All About APIs, will be held on Thursday, January 24th at 11:30am. AnderTech members can register using CampusGroups. Future Tech Bytes will be announced on the website calendar, in CampusGroups, and in the Andertech WHAT newsletter! We look forward to seeing you at our events! If you are interested in teaching a Tech Bytes workshop or have workshop topic suggestions, please reach out to AnderTech’s Tech Education team: Kartik Jain, Judy Pham, Melissa Wong, and Jonathan Helman. I spent my summer at Rinse, a laundry and dry-cleaning startup. The company was founded in 2013 and currently serves 5 cities across the United States (SF, LA, Chicago, Boston, and DC). Rinse allows customers to schedule pick-ups for their laundry or dry cleaning through the website or app. Rinse employees (called Valets) pick the product up from the customer between the hours of 8-10pm and return the clothing within 3 days. This summer I learned a lot about how to how to deal with ambiguity and go with the flow in a start-up environment. I started the summer in Operations and was initially reporting to the COO/co-founder. A week in, I was moved to Marketing and told they didn’t have the bandwidth to give me a manager. The project they assigned me involved designing a field marketing strategy to grow their share of current markets. Because I didn’t feel this project was helping me build the skills I was looking to build, I took it upon myself to create a new project while also doing what was asked of me. That ended up being my favorite part of the summer. I designed and analyzed the annual customer satisfaction survey and presented findings to the leadership team, highlighting product strengths and potential areas of improvement. I determined which questions to ask by collaborating with the Product and Marketing teams and made recommendations to the CEO about changes to make moving forward. Anderson prepared me for this role by giving me the tools to figure out what to do when you don’t know what to do. I learned how to make an impact even when I have no experience in a given function. I also learned how to build relationships in a short period of time. I would love to continue to work in Tech after school, and my exposure to Marketing this summer has opened my eyes to a new function that I hadn’t previously considered. Why MBA? I chose to pursue my MBA because I wanted to develop my leadership skills to lead companies who are working on socially responsible products while creating a meaningful impact in human lives. I wanted to practice leadership skills and try new responsibilities in the collaborative environment of business school. Also, coming from a tech background, I felt business school would be perfect place to understand business strategy and the financial decision making process. Why AnderTech? What is your role in AnderTech? I joined Andertech because I wanted to be surrounded by a group of people who want to think outside the box. AnderTech members are challenging themselves to humanize technology for social impact. For this reason, I joined AnderTech. I am currently working with the FEMBA/EMBA relations team and I want to help identify opportunities for part-time students in tech to leverage their background to take their first step into tech. I’m Parth and I’m a 2nd year FT MBA candidate at UCLA Anderson. This summer I had the incredible opportunity of interning with NFL Sunday Ticket (NFLST) at DirecTV/AT&T as a Product Manager (PM). Given the recent events with NFL athletes protesting the national anthem, NFL viewership has declined YoY. So, I was tasked to evaluate NFLST holistically and recommend how we can increase user engagement in short and long term – quite a daunting task considering I’m transitioning from a small early stage startup to a company with 250K+ employees and into a new role that can impact 300K+ subscribers. Nevertheless, I was ready for my summer challenge! Much like any new PM, I spent the first several weeks getting to know my team, the product, and the market. I met with marketing, design, engineering, QA and even other product owners to understand how and why certain features were built. I evaluated other sports and video apps to see what new features we could add and then ran customer focus groups to see how NFL viewers to react these new features. In fact, I even met with one of the pioneers behind AT&T and Magic Leap partnership to see how AR/VR could augment the sports experience. However, my favorite experience was participating in a live focus group (with the 2 sided mirror) with design team to see how real NFL viewers interact with fantasy and watching games. I was surprised to how learn how important the audio experience (i.e. sound played when clicking a button, etc.) is to the customer experience. Once I decided on what features I could implement in the short and long term, I spent the next several weeks building wireframes using Sketch and Proto.io (never used them before! ), writing feature stories, and negotiating with engineering and QA team to understand how to prioritize the development of the feature in Agile sprints. In 11 weeks, I not only recommended features we could incorporate in the long term but implemented several features to increase user engagement and improve our user’s journey within NFLST. Today when I’m watching my Bengals play on Sunday with my friends, I take every chance to point out the my features in the NFLST app! I wouldn’t been able to gloat without the support of Anderson and AnderTech. The PM class at Anderson gave me product development knowledge and strategy class gave me the frameworks to evaluate competition’s next move while AnderTech introduced me to the alumni who hired me for this internship. I’m grateful for the opportunities my MBA experience has provided me. While it seems like October is forever away, once the fall quarter gets rolling, time simply zips by. Before you know it, it’s December and recruiting jitters are suddenly a very real thing! The purpose of this post is to quell a few of those anxieties and give you a roadmap of AnderTech programming, as well as a general recruiting timeline, during the fall. The club is here to support you throughout the recruiting process. We promise to make sure you are ready to knock interview season out of the park! Some of these dates, especially for case competitions, are subject to change. Don’t worry, we will keep you fully informed along the way. Thursday, 9/27: First Year Club Fair- This on-campus fair will feature all the clubs offered at Anderson. You can get information, swag, and sign-up for the club in person. If you haven’t officially joined AnderTech yet through CampusGroups, stop by our booth to join, grab some swag, and say hi! We will be sending out membership information a few weeks before the fair, so keep an eye out. Monday, 10/1: Etiquette Night- All professional clubs are joining forces for this required professionalism and etiquette training session. Tuesday, 10/9, 7:00-9:00PM: AnderTech Kick-Off Night- Headlined by a special guest speaker from AT&T, join fellow AnderTech members for a spectacular introduction to AnderTech! Drinks and food will be provided, and many second-year members will be in attendance to answer any questions you may have about the club or Anderson as a whole. Organized by four second-year leaders, these required sessions launch our formal recruiting and interviewing preparation series. Each session will cover a different aspect of the recruiting process, and attendance is mandatory if you plan to participate in the small-group interview prep teams. Small-Group IPT begins in November and continues through interview season in January/February. Thursday, 10/25, 5:30-7:30PM: Speed Informationals with 2nd Years- Learn from Second Year AnderTech members about their recruiting experiences, internship roles, and tips for interviewing success. DOJ Week (Seattle & SF/Silicon Valley): 10/29-11/2- You’ll learn a lot more about DOJ Week and the Seattle/ SF Tech Treks in the coming months, but this week provides first-year students with the opportunity to visit a wide variety of companies, as selected through a bidding process, in the technology industry. The purpose of these excursions is to get a real feel for company culture and lifestyle, and determine which companies may be the best fit for you for the summer and full-time. This will not be focused on recruiting, but can guide your company selection decisions. Tuesday, 11/13, 7:00-10:00PM: Career Night- One of AnderTech’s biggest fall events, Career Night provides first years the opportunity to meet with representatives from 20+ technology companies. The event features round-table discussions throughout the evening, as well as a networking happy hour. Thursday, 11/29, 7:00-9:00PM: Beyond Campus Recruiting Panel- While many Anderson students utilize on-campus recruiting resources to find internships for the summer, understanding how to navigate the “Beyond Campus Recruiting” landscape is can be helpful in landing summer or school-year internships. You’ll hear from second years regarding their approaches to identifying and engaging with target companies to secure internship opportunities. Sunday, 12/2: NEW AnderTech Minimum Viable Product Competition- This is a brand new AnderTech initiative this year. This competition pairs teams of Anderson students with Computer Science students to build and launch a minimum viable product. You’ll receive more in-depth information regarding the required workshops and networking sessions later this summer, but this competition will provide a phenomenal, unique opportunity to own a product and work cross-functionally Plus, will provide you with great topics to highlight during interviews! January: On-Campus Interviews Begin, right after Winter Break! I hope you enjoyed this outline of the awesome recruiting-related events we have planned for this fall. Of course, we will have many other events focused on alumni engagement, club socializing, and interesting technology experiences- so get ready! The fall quarter is undeniably busy, but we are here to make it as fun, and as helpful, as possible. Hello incoming students! Hope you are all enjoying your summer. My name is Margaret Yu, and I am one of the VP’s of Marketing & Communications in AnderTech. Fittingly, I am spending the summer here in Santa Monica at ZipRecruiter as their Marketing MBA Intern. 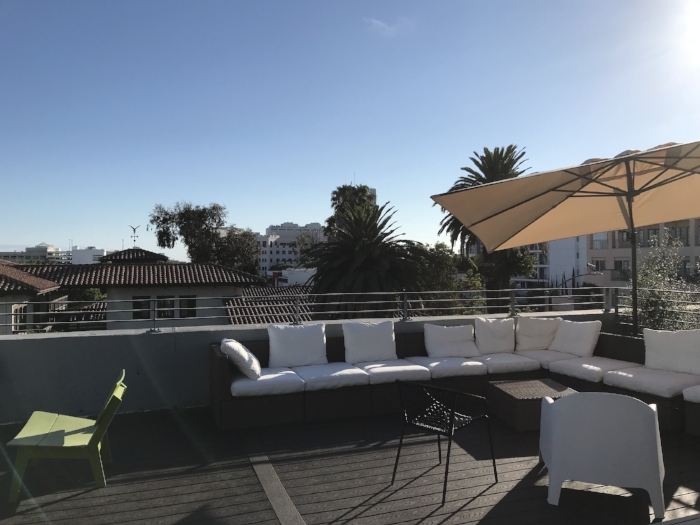 I am loving my internship experience so far, especially since summertime for me means that I get to work on this beautiful rooftop deck at any time of day! My role is pretty unique - it’s a mini-rotational internship where I get to work with five different teams within the marketing department, from SEO to customer insights, on real-time business problems with a meaningful impact on the success of the organization. I have just finished my first couple of projects, and am gearing up for the next phase. The internship program here is still pretty new, so I am excited that the internship class here has 100% Anderson representation including myself and Tom Christenson (‘18)! Because a 10 week internship is such a short amount of time, it feels like the orientation process never stops. We have lunch-and-learns scheduled every other week with key leaders across the company as well as weekly SQL classes with our VP of Analytics. Additionally, I make sure to schedule at least one coffee chat a day with someone I have not yet met in the company to continue to learn as much as I can about ZipRecruiter in my short time here. As someone whose prior experience is from a different industry and function, this internship is exactly what I came to business school to pursue. I don’t just get to learn about one specific function within tech marketing - I am really getting to experience a lot of different initiatives the marketing department at ZipRecruiter is prioritizing as it scales, which is really exciting! I cannot believe how quickly the summer is moving, but I am happy to say I have learned a ton so far, and can’t wait for what’s next. Why MBA? I chose to pursue my MBA because I wanted to develop my leadership skills by challenging myself to take on new roles and responsibilities and make an impact on Anderson. I also chose to pursue an MBA to learn more about new industries and gain more general business knowledge. Why AnderTech? What is your role in AnderTech? I joined Andertech because I wanted to be surrounded by intelligent, curious, and ambitious people who are excited about the technology industry. I want to be able to learn as much as I can from others and also share my experience in the industry so far. I am currently the VP of FEMBA/EMBA relations and in this role, I want to ensure that I am connecting FEMBA/EMBA students with full-time students to share knowledge, resources, and opportunities for mutual success. What are you most excited about for AnderTech this year? I am most excited about the speaker series and company visits this year. As a FEMBA, I want to learn more about other tech companies and industries so I can continue to expand my knowledge and potentially explore careers outside of what I currently do. AnderTech's Tech Education team has launched a new initiative called Tech Bytes. Tech Bytes are peer-led technical skills-building workshops featuring bite-sized topics that can be taught in 1-2 hours. 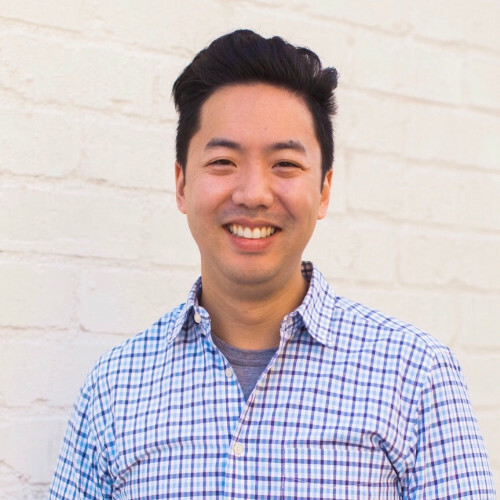 Instructors are UCLA Anderson students from the MBA and FEMBA programs who have prior experience in technology roles and are passionate about sharing knowledge to help their peers break into tech. In our first Tech Bytes, Sarah Zou (MBA 2019) taught the basics of software development, including the differences between frontend, backend, and APIs. Students then had the opportunity to apply these concepts to building an Android mobile application using AppInventor. Everyone’s computers are set up and we’re ready to build some apps! Screenshots from the app created by Shu He (MBA 2018) during the session. Sarah (left) answering questions about using AppInventor. Future Tech Bytes will be posted on the website calendar, in Campus Groups, and in the WHAT newsletter! We look forward to seeing you there! If you are interested in teaching a Tech Bytes workshop or have workshop topic suggestions, please reach out to Kartik Jain or Judy Pham.